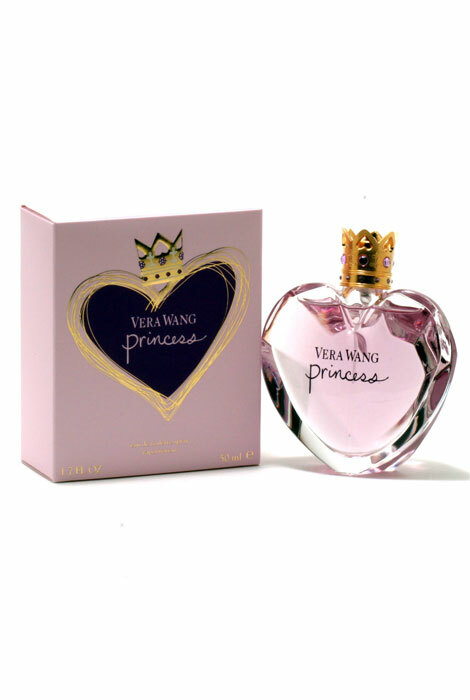 Vera Wang Princess is a very feminine, sweet women's fragrance. This scent is made with the youthful ladies in mind. It's notes of dark chocolate, guava, water lily and other fruity and floral notes give it's sweetness depth, while the base has woody notes along with amber and sweet vanilla. This is a fragrance that any girl would love to wear! It has great lasting power and comes in a beautiful, heart shaped, jewel cut bottle with a crown cap, in a lovely shade of lavender. A perfect addition to any princess' collection. Features top notes of Apricot, Mandarin, Apple and Water Lily, middle notes of Tuberose, Guava, Dark Chocolate and Tiare Flower and base notes of Amber, Vanilla and Woodsy Notes. 1.7 fl. oz. EDT Spray. No express shipping. No shipping to PO boxes. is this the original princess of all the princess products?